History – MMM Plumbing, Heating & Air Conditioning, Inc. In 1969, Mac McCurdy & Harmon McCurdy founded M&M Plumbing as a “two-man shop” serving Amarillo. As Mac’s three sons grew in the trade, they eventually became the driving force behind the business. And in 1987, MMM Plumbing, Heating & A/C Inc. was born when they bought the company from their father. 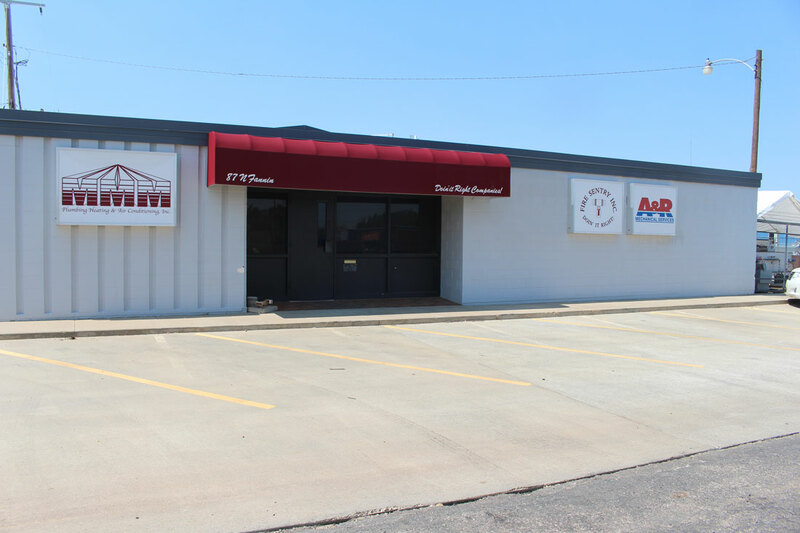 Today MMM Plumbing, Heating & A/C Inc. is one of the largest commercial mechanical contractors in the Texas Panhandle. Providing Pantex, regional schools, hospitals, industry, and businesses with solutions to their needs in plumbing, heating and air conditioning and site utilities. Past eight years performing mechanical contracting for various general contractors doing work for OBO facilities worldwide. Business Incorporated Renamed: MMM Plumbing, Heating & Air Conditioning, Inc.
MMM purchased Fire Sentry, Inc.